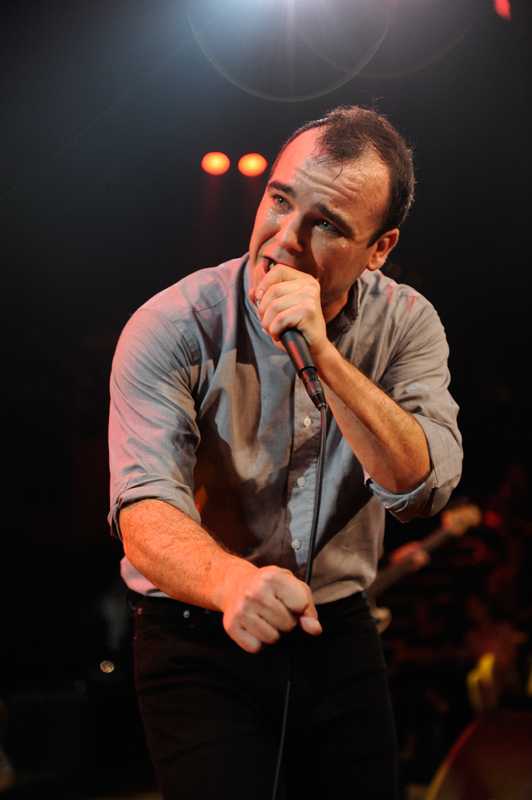 “Back in the Tall Grass” served as a low-key opener, a midtempo pop tune that allowed the singer to build up to his signature stage moves. 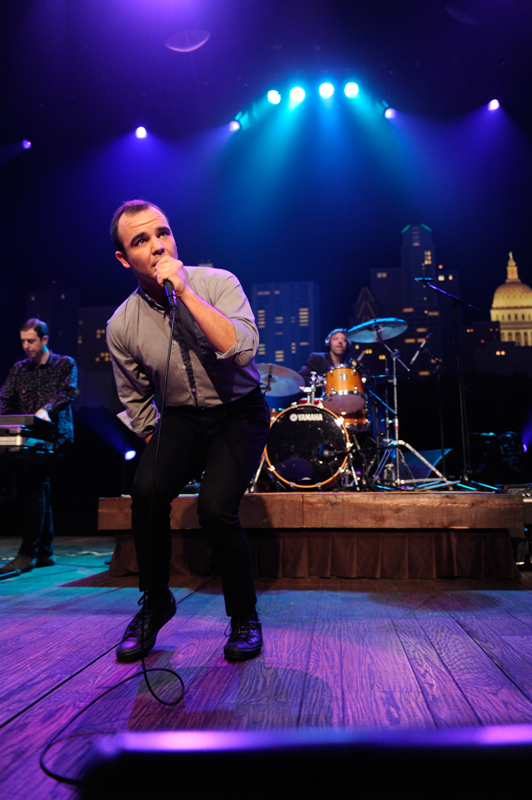 The band hit its stride immediately with the classicist British synth pop of “A Dream of You and Me,” which found the restless Herring beginning his sweep across the stage. 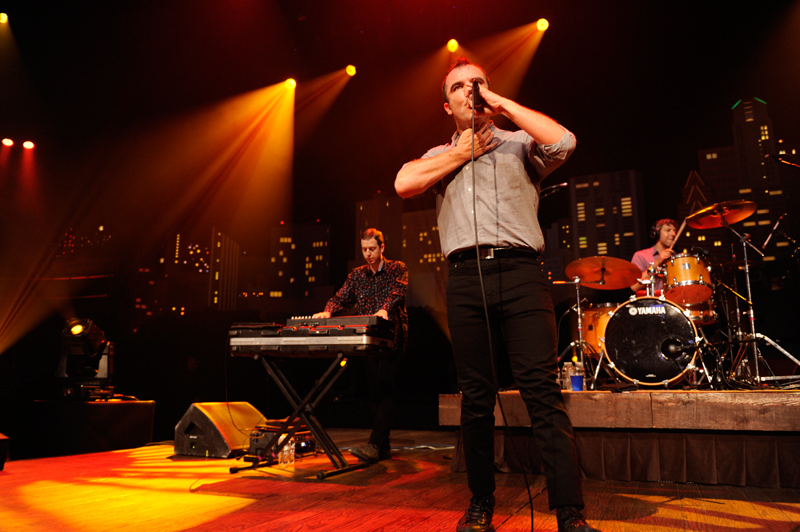 The band stayed out of the singer’s way literally and figuratively, the stripped-down music giving Herring plenty of room to move. 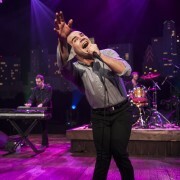 From the high kicks in “Balance” to the stripper hips of “Doves” and the reach for the stars in “The Great Fire,” Herring was in near constant motion, augmenting his croon-to-growl vocal gymnastics with completely unselfconscious movement. 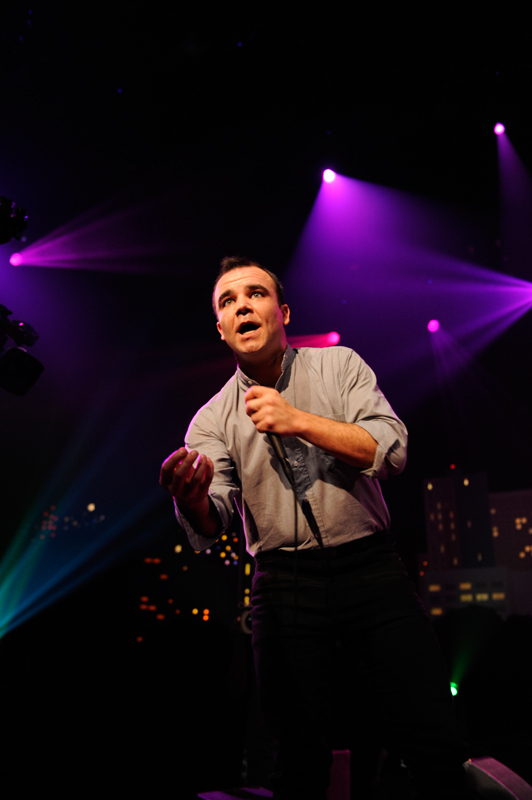 “His dance moves ARE the best,” enthused livestream viewer Monique Jewett-Brewster. 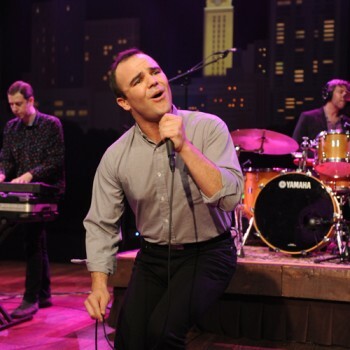 The disco rhythms of “Walking Through That Door” and “Long Flight” seemed particularly conducive to Herring’s flamboyance, as he pulled out all the vocals stops. 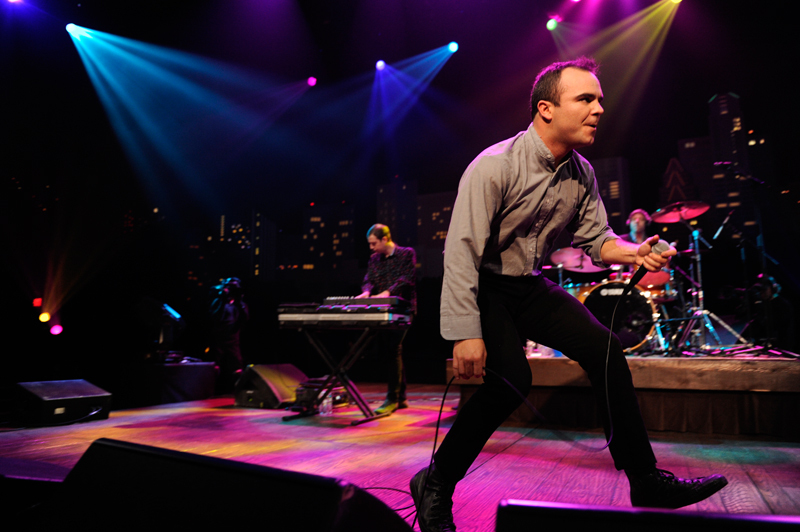 Future Islands ended the main set with the uplifting “Spirit,” which Herring revealed is about the “inner flame that keeps us going.” But it was the final song of the encore that really underscored what this band is all about – “Little Dreamer,” from the group’s first album Wave Like Home, featured music even more austere and minimalist than the rest and plenty of room for Herring to emote. 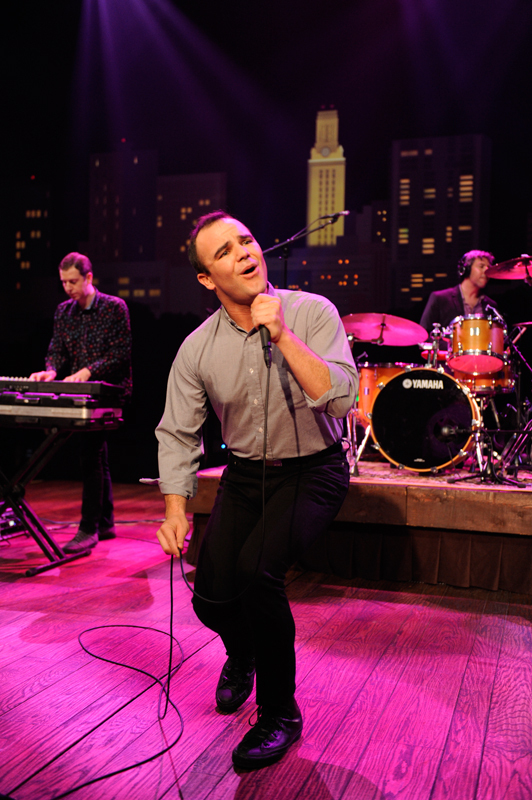 “One of the best performers of our time,” commented Chad Parker. 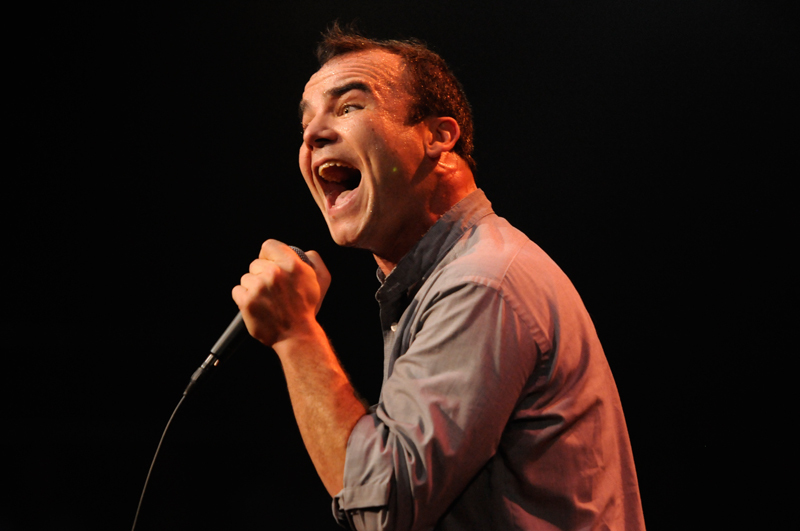 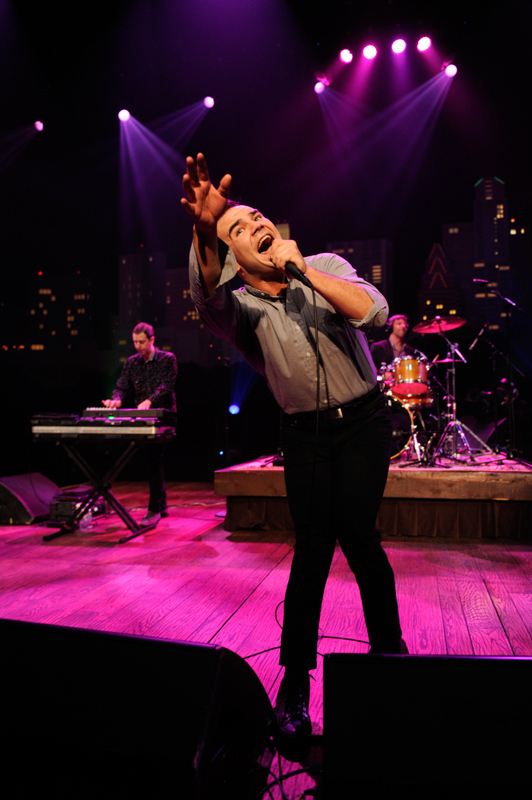 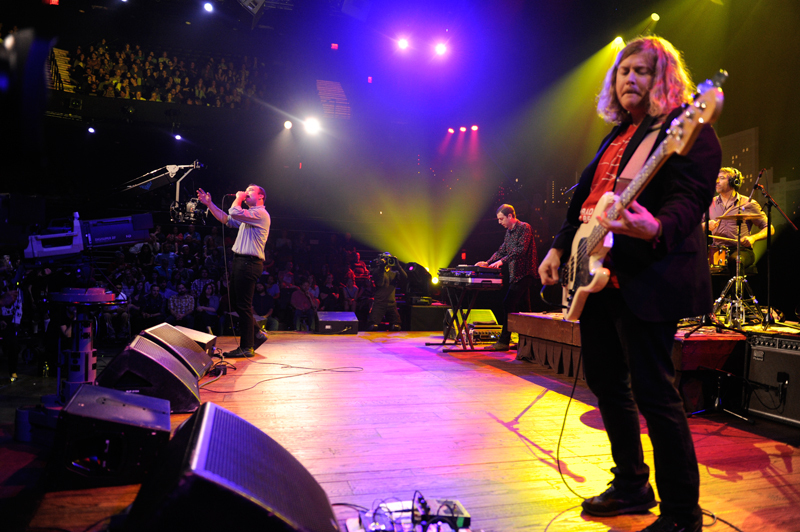 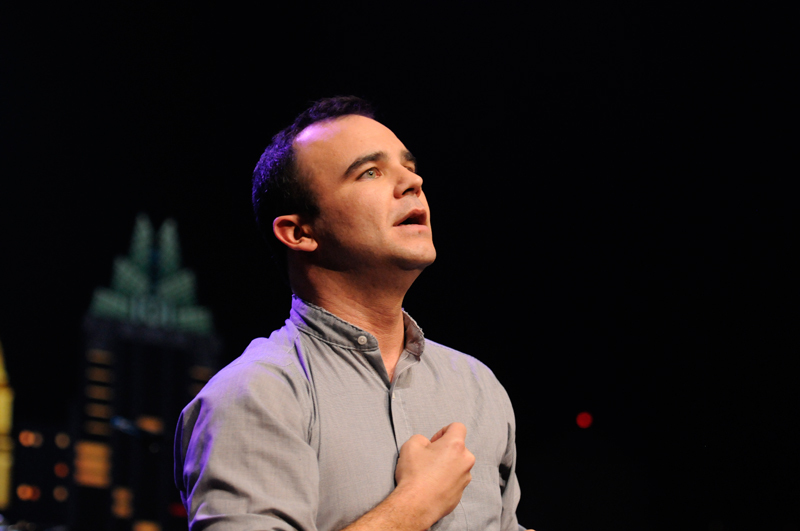 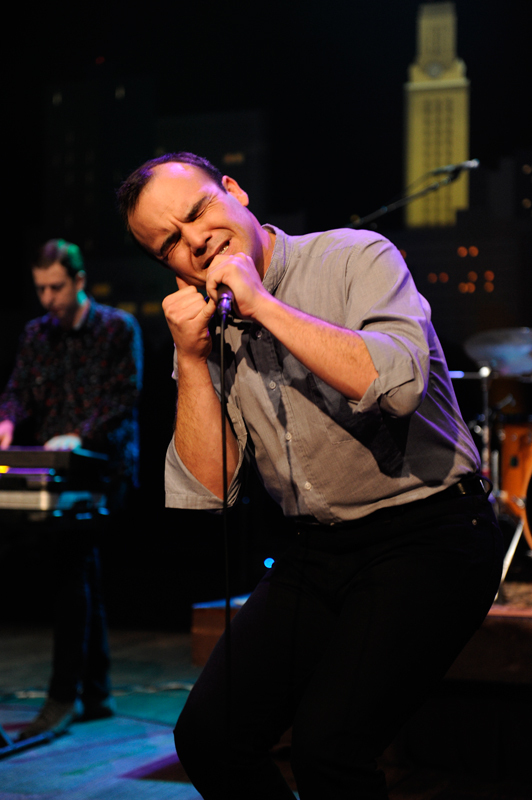 You can see for yourselves when Future Islands hit the PBS airwaves in early 2015.